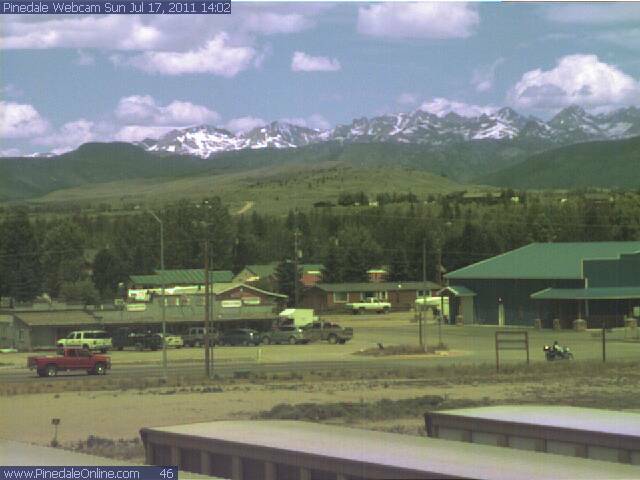 Pinedale's web cam shows plenty of snow on the back peaks - precisely where we are headed. Nothing like a July snowball fight. Last week’s letter held a lot of anticipation about the trip to Wyoming; Ellen and Tim will both be there and the heavy snows in the backcountry appear to be melting. It was all good. But these have been a rough stretch of days for Felicia. The deep seven inch gash on her calf continues to split open; she cannot hike. The band of backpackers will forge ahead minus one. It’s greatly distressing to me, but as the two of us have talked about, there’s always next year. I was hoping there would be better news for this, my 200th post. Better tidings will have to wait. Ellen/Reid: I don’t know that I can contain my excitement about the trip to Wyoming. There hasn’t been this much anticipation since I don’t know when. This is one of those trips where money is no object. We could stay in the Ritz for a week and eat caviar and sip Dom Perignon for what has been dropped so far on this venture. But that is of no consequence to me. Too bad Sundance isn’t closer because I’d make the side trip to get the newspaper your grandfather used to work on, the Sundance Times and Crook County News. Reid, you and I made a side trip years ago to the newspaper office when we were driving to Montana to fish. When I’d ride to Sturgis, I’d always drop in to get a copy for your grandfather. He often said it was the best job he ever had. They sure loved that part of Wyoming. Just think, if my mom’s doctor in Deadwood hadn’t told her that her delivery of your uncle and me would be difficult, I would’ve been born a South Dakotan. That’s when your grandmother rode the train to Omaha where her mother lived. The rest is, as they say, history. But I digress. Already the fidgeting about the meal menu has started. I’m trying to steer people clear of non-perishable food. I worry that with the increased bear sightings that anything that is overly odiferous will be cause for a grizzly or porcupine to stop by our campgrounds. By default our cuisine will feature a lot of pasta and rice with exotic dried sauces you mix with water, plus the obligatory instant oatmeal for breakfast and energy bars. I’ll also make a ton of gorp (peanuts, raisins, M&Ms) for each of us to tote on the trail. All of the provisions, sans the sauces, will be purchased in Jackson. Ellen, tell Tim that I will probably steer clear of dehydrated food because if it’s not hydrated properly, it takes it’s liquid from your body and that can stop people up. Trust me, I know that very, very well through painful, clogged experience. But that’s another story, too. One of our members, a good guy, will cook his own food, and that’s okay. Tell Tim, too, that he will be a meat fisherman for a change. As far as can be determined, only he and I will have flyrods. We will be highly dependent on Tim to advise us on the flies to us. Another guy will have the rough equivalent of a bamboo pole. The wife of the minister is a bonkers fisherwoman, too, and we may rent her a rod for the duration. I am so excited. Reid, you’ve been there before a few times, but it would’ve been great if you could’ve pulled up stakes in Chicago for a week to join us. There will always be next year – hopefully. Felicia just this morning reported bleeding from the seven inch gash in her leg. It should have enough time to heal in the next 10 days or so, but we will still tote a fully-stocked first aid kit with enough bandages, tapes and medicines to fully supply a triage center. That includes ample amounts of mole skin and a liquid that dries on the skin to prevent blisters. New Skin, I think they call it. I’ve told people to bring some Tevas in the event they get un-curable blisters. Reid, you might recall the woman on an earlier trip who had quarter-sized blisters after the first of seven days and she pressed on thanks to her Tevas. One of the things I like most about a trip like this, and this goes back a few years with you and me in the Bridger, Reid, is that it’s a foundational thing to get you guys into the natural world. Although we didn’t get as many chances to head for the hills when you were younger, it means a lot to me to introduce you to this sort of adventuring. There’s nothing wrong with testing your mettle and sleeping on the cold, hard ground and eating dreary camp food every once in a while. It’s good to help you develop an appreciation for this end of the environment. At the rate we keep screwing it up, there may not be many more decades to enjoy it. Okay, I’m down from the soap box. But there are worse things to badger you about. Our Mountain Hardware tent. It reportedly has a "dry entry" but we're about to put that to the test. The dog days of summer arrive, in theory, in August but the heat and swelter seem to have come many weeks too early. It is a groaner around these Southern parts. Like prunes, is one (shower) enough or is three (showers per day) too many? Tough to stay cool and collected. Still, the heat may have sapped my creativity, but letters still go out the door. Ellen/Reid: Some big storms rolled through last night with their own kind of noisemaking and that kind of washed out any plans to go see fireworks. The skies cleared enough later that I could hear the celebratory explosions as I was in bed. That tells you all you need to know about what time I hit the sack. Jeez, Reid. 26? It is just plain hard to believe. If you would have had your wits about you, you should’ve emerged on the 4th and then we’d really have a tale to tell about a Firecracker Baby. But we’ll settle for you as you are. Keep plugging away at work kid, and good things will happen. It’s worth remembering you haven’t been there all that long. Your knowledge base and attitude will be worth something to someone in the near future. The agency biz is just a tough gig; always is and always will be. There has to be a firm out there where you can ply your trade without the ever-present stress. Stress is always going to be there but perhaps it’s the quality of stress that matters. You’ll never be rid of it. We should talk about what sort of plan you have for yourself beyond grad school. Ellen, your text early this morning about Tim maybe coming along with you to Wyoming is very cool. I hope it all comes to pass by the time you get this. His experience will be invaluable, plus he can carry some of the heavy stuff that would’ve normally been laden on my shoulders. We are really going to have a super group of hikers. I don’t know that he will catch record fish, but we need him to keep a few so we can adequately feed the throng (and that includes you). Reid, I wish you could go but there will be a next time. We bungled our way through setting up the tent for the first time yesterday morning. A couple of oafs if there ever were. The instructions are miniaturized drawings only so it is complete guesswork as to how some of snaps and rigging come together. Actually, the tent should go up in a jiffy. We cut out some heavy plastic as a footprint so that part of it is ready to go. We never did fire up the stove, mainly because one of us forgot to buy white gas. Reid, I unfortunately never took the time to watch you assemble and light the stove because unlike the tent, the instructions are NASA-grade quality. Pages of fine print. My old MSR went together in a moment and was super-easy to use. This new one was created by lawyers if you gauge things by how the manual reads. Still, we are excited to get out of Dodge and hit the trail. Most everything we need is in hand, and if we need something we’ll get it in Jackson, including all the food. That’s how our Friday will be spent, packing and marking packages with food galore. You guys had better be ready to eat Spartan meals because this will be far, far, far removed from haute cuisine. Here’s to hoping we catch a lot of fish to supplement our pasta and rice meals. We’ll have a lot of novice fisher-people. Poor fish. The other portions of the weekend were fairly leisurely. Golf, a B-B-Q, a C+ movie (“Battle of Los Angeles”) and a little bit of bike riding. Felicia’s leg isn’t yet up to speed to tolerate any longer rides. Besides, it’s not a lot of fun to ride/bake in the heat for any sort of distance. Just went past 45,000 miles on the old Heritage. That’s a lot of miles. It was hard to crank up the engine for work this morning but I’d best get to it. The coffee is long gone so I’ll have to muddle through the morning as best I can. Happy birthday, Reid (26?) and Ellen, we’ll see you (and hopefully Tim) in fairly short order. Marshal Dillon kept the peace. We picked up one more straggler for the trek into the Bridger: Ellen. Her ticket is already in hand and there’s no disguising how much I look forward to her joining our little band of hikers. She’ll be a good addition although she’s already reminded me yet again that she doesn’t eat red meat (like we were going to tote steaks around) and she’s about to get a culinary baptism by fire with camp cooking. She also professes to not like fish, but if she’s hungry enough, she’ll warm up to roasted trout sprinkled with lemon pepper soon enough. Assuming we catch any. Ellen/Reid: What is worth looking forward to this week is a short Friday. My boys Tom, Mike and Todd are planning a grudge match at some local course on Friday afternoon. They all have high pressure 24/7 jobs at the bank and they are really looking forward to getting the three day weekend off with a bang. Of course, it will be at my expense since those thieves demand strokes. Not that your inheritance is at risk but I’ll need to keep my hands on my wallet at all times. It is near criminal. Got a pretty clean bill of health from my four month checkup on Wednesday. The doctor is on one hand a no-nonsense guy in that it is all about data/results, but he shows his softer side, too from time to time. I go back in September and that will be the real litmus test. He took me off guard by saying that everything has yet to heal fully and by September it should be all buttoned up, so to speak. His assistant paints something of another picture. There’s this troublesome diverticulum (kind of a large balloon or bulge) on the bladder which creates what is essentially an unintended reservoir. That’s why things don’t empty as they should. The thinking of the assistant is that this creates a long-term set of problems (infections, etc.) if not corrected. It doesn’t have to be right now but it’s a strong point of consideration. Not real invasive surgery, but they go in and cut out this protrusion and sew the hole in the bladder shut. It would put me down for up to two weeks with another 30 with “no lifting or straining.” Literally, we were talking a January timeframe (so as to miss the least amount of golf and riding) when the doctor came in. He immediately nixed those plans. His reasoning is since I feel good and all the numbers point to things being mostly okay, he doesn’t want to operate in the absence of symptoms. He reserved the right to change his mind when the September results are in. I’m not opposed to the knife although he cautioned that every surgery has its risks. So we’ll see. But I feel good as of this writing. Felicia came through her melanoma surgery in fine shape. Basically, they carved out a chunk of her left calf and sewed it up nice and snug. The assumption is they send the tissue to pathology to check it out, and no word so far on the results. She was hobbling around like Festus on Gunsmoke and I had to ride her about just taking things easy for a while. If it were me, I would’ve milked her nursing for everything I could get. But she’s headstrong and she was doing it her way. There are no stitches per se. They glued the wound (can you really glue human skin?) and then did some other kind of non-stitch thingies and kept it together. It will be interesting to see how it all looks once the bandage is removed and the non-stitch thingies go away. It’s good they moved up the surgery a week or so because that gives her more time to heal before we head to the Bridger. Enough health morbidity. Apparently they no longer manufacture the tent pegs I want. That, or people simply buy them out. I’ve been to REI and another couple of stores more than once and everyone is flat out of good tent pegs. This weekend we resolve to fire up the MSR stove and fumble our way around erecting the Mountain Hardware tent so we’ll know what we’re doing when the time comes. 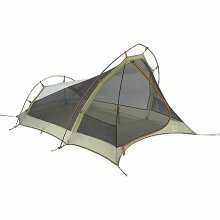 I’ve put up a tent in heavy, wet snowfall before and it’s no fun and that’s no time to figure out how to erect a tent for the first time. The menu is beginning to take shape although I am all ears when it comes to innovative breakfasts as long as it does not involve freeze dried food. No doubt it will be the traditional instant oatmeal and whatever additives come to mind. I just hope the weather is decent and we can have fires. People are relatively outraged that there will be no smores or other fresh foods available. What keeps coming to mind for me is: bears. Well, off to the races (as in rat races). Be good, stay cool and have fun.